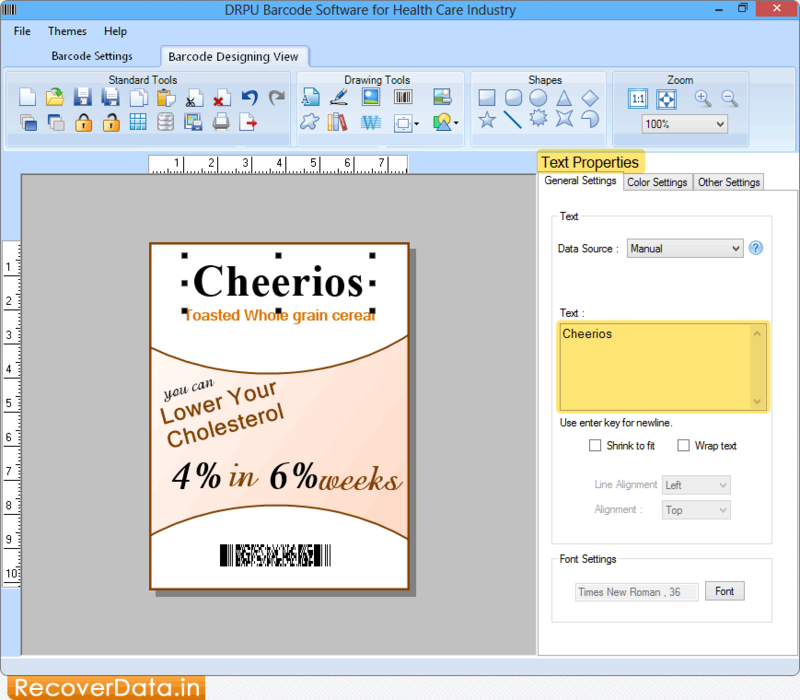 Select barcode technologies and type (either linear or 2D). 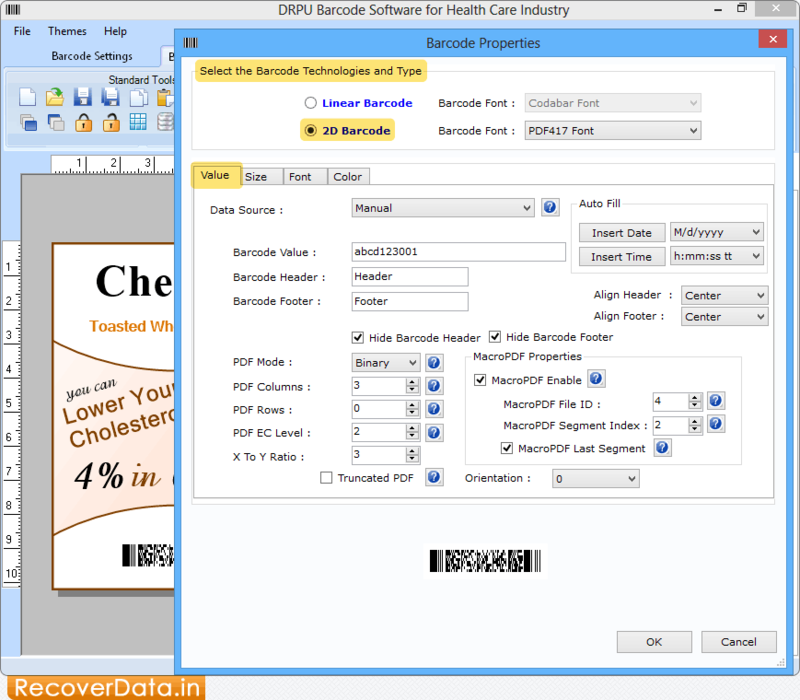 Click on 'Value' tab to specify Barcode Value, Barcode Header, Barcode Footer, etc. Using Shape Properties, you can specify OutLine Style and OutLine Color of that shape. Add text on your label using Text Properties. 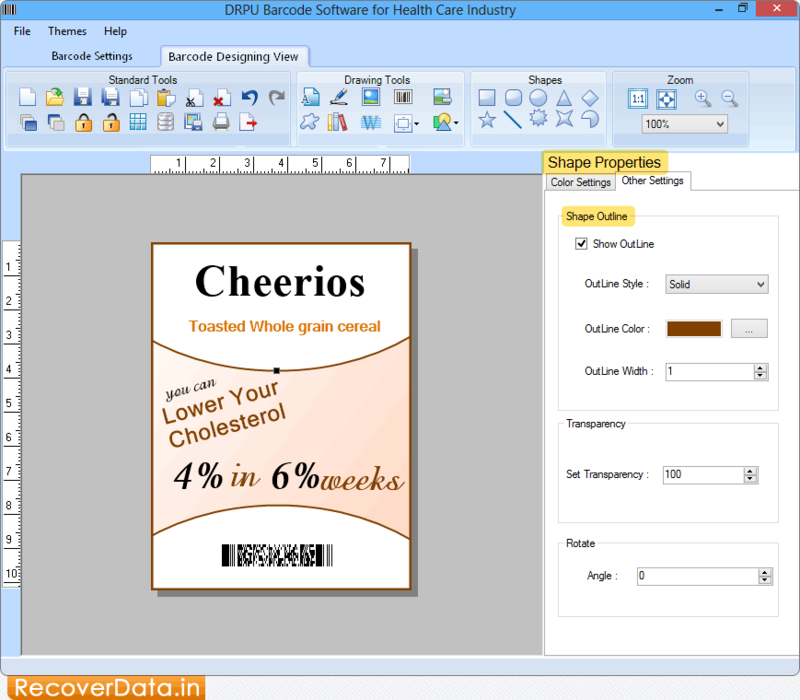 In Barcode Designing View, choose any print mode either Pre Define Label Stock or Manual. 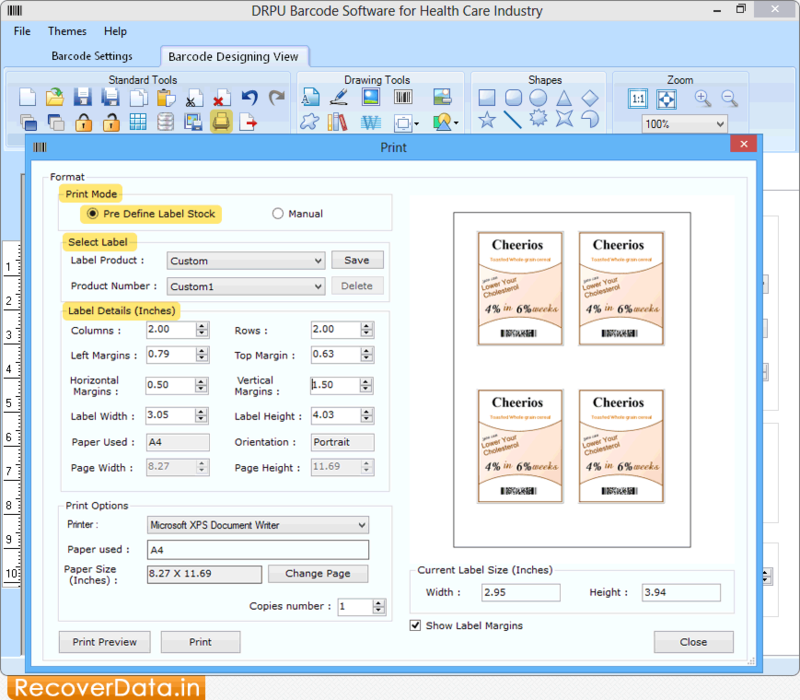 If you will choose 'Pre Define Label Stock' then select 'Label Product' and 'Product Number' as per requirement.